It may be typical of the very best yacht designers that some of their most revered work is among their earliest, from before they were widely known. It’s for sure the case with Olin Stephens and DORADE, and arguably the same with Robert Clark and his Mystery design, which some consider set him on his career path. Clark was untrained, and not yet in practice for himself when, working intuitively and convalescing from a serious illness, he created this beautifully simple, fast, good-looking and quintessentially English design that has become sought after. 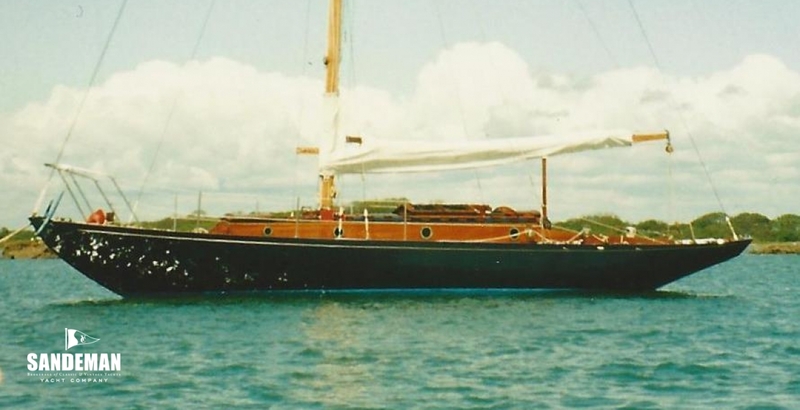 The masthead cutter-rigged Mystery Class ASTROPHEL is one of the most authentic pre-war English yachts we’ve seen. 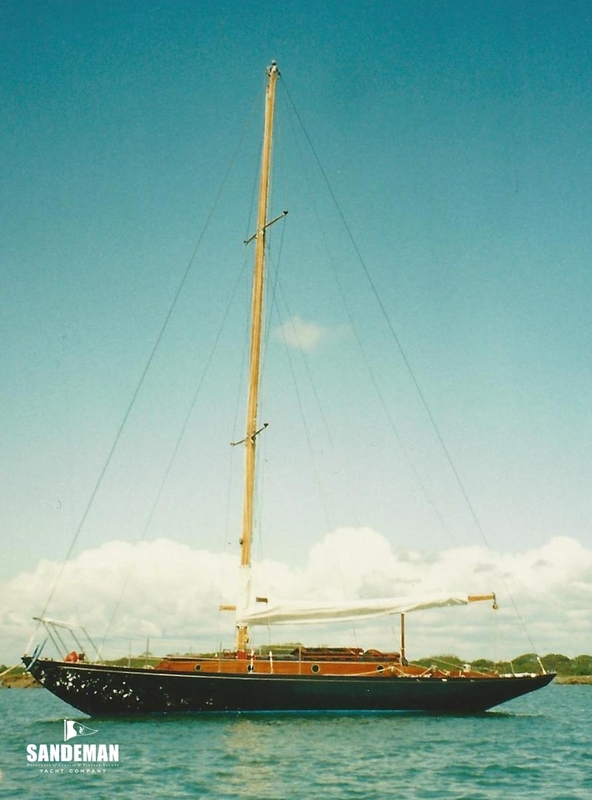 ASTROPHEL has reached the stage in her life where she’s a project, but very few owners and an exceptional length of time in present ownership have ensured that she is an outstandingly original 1930s yacht offering a unique opportunity for very authentic restoration because everything is there. The restoration element should mainly be structural. Commissioned by Itchenor Sailing Club member Maxwell F.A. 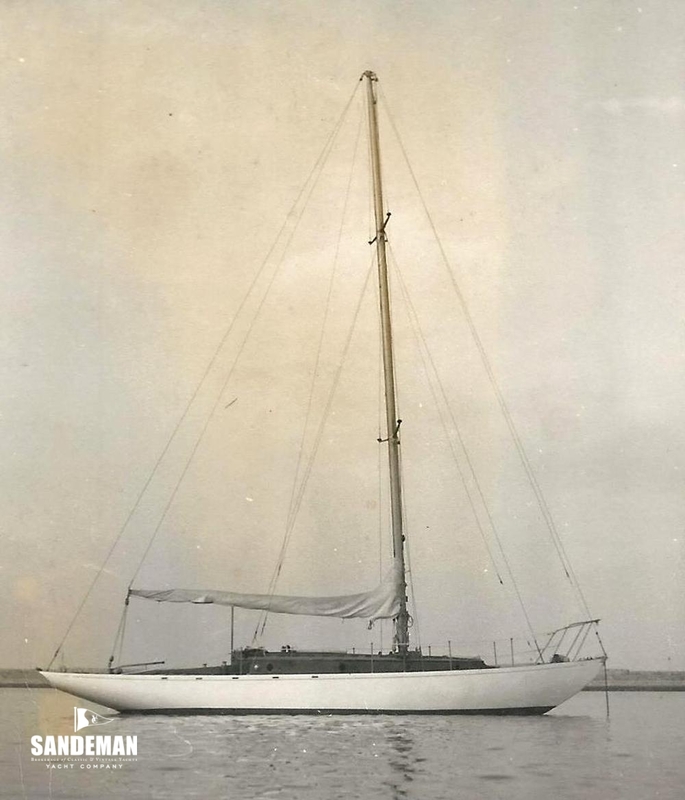 Keen, ASTROPHEL was built, like all twelve Mystery Class yachts, by Sussex Yacht Works, Shoreham-by-Sea; an innovative yard that built many Clark designs, including the well-known pre-war ocean racers JOHN DORY and ERIVALE, both launched the year before. 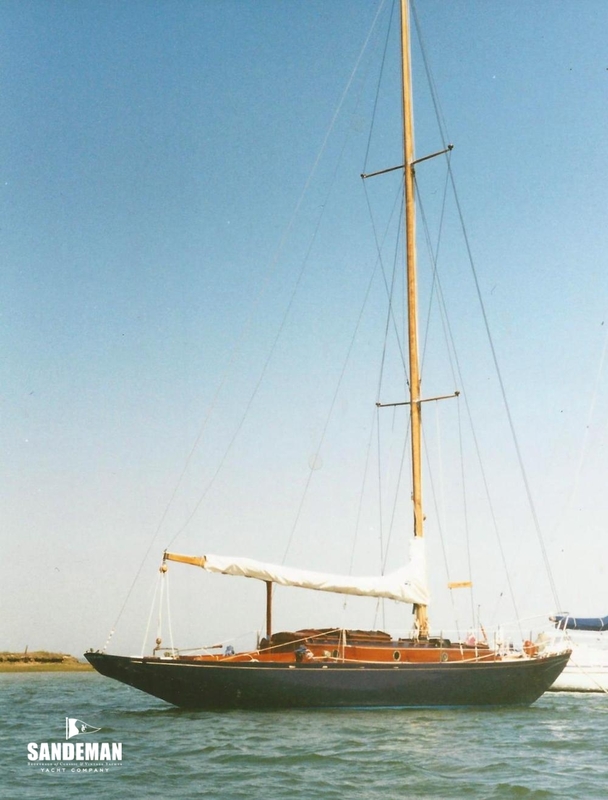 That ASTROPHEL has subsequently had very few owners is the key to her authenticity, and perhaps confirmation that designer and builder got her right first time with no need for further tinkering. 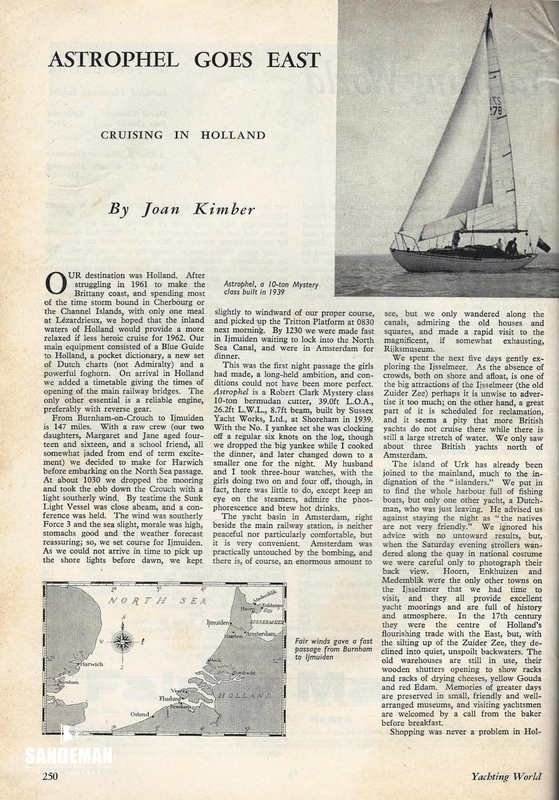 She enjoyed a particularly happy time in the 1950s, cruising Ireland in the hands of the country’s then UK Ambassador Gurth Kimber, from whom the present owner purchased her in 1964.